“Rocket” as it’s also known, has been cultivated in Europe since the Roman Empire. 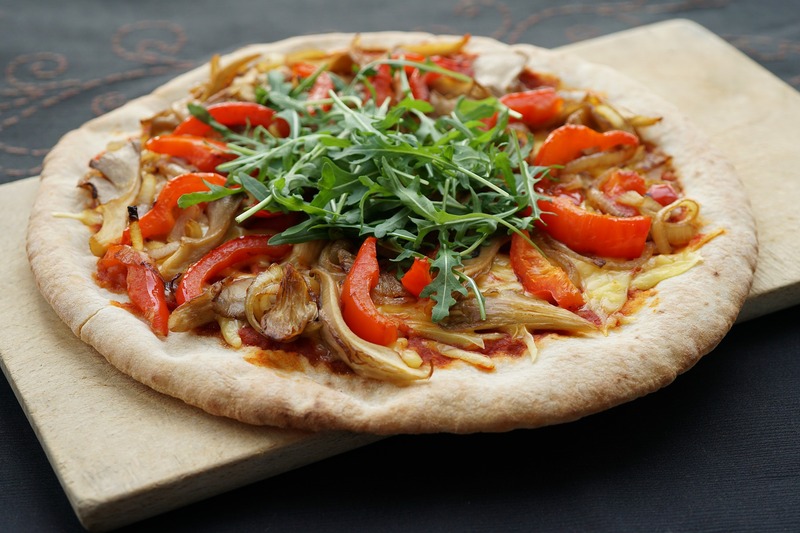 In Italy, raw arugula is often added to pizza at the end of or just after baking. It can also be found coarsely chopped in pasta, sauces or cooked dishes. 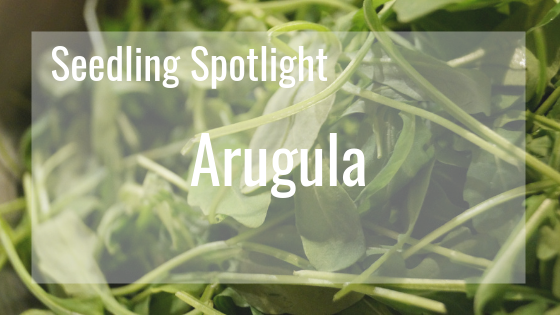 You’ll often find arugula added to mesclun mixes, where it adds a delicious kick! You’ll find that young, paler leaves have a milder flavor and are better suited to salads and pesto, whereas older leaves have that peppery flavor and are great for pizzas and soup. Arugula is fast growing and will be ready to harvest in about four weeks, or as little as two as a micro green after the first set of true leaves have appeared. You’ll be able to grow arugula indoors with the Tower Garden LED Grow Lights or outdoors providing you protect it from a frost. It will likely be located in the middle of your Tower. Ensure large crops like tomatoes, squash, eggplant, melon and kale are not planted above your arugula. Flea beetles. Flea beetles will eat the newly sprouting arugula plants before they ever have a chance to grow. If these pests are a problem in your area, wait a few weeks to plant your seeds or cover the seedlings with plant fabric. Cabbage worms. These pests attack lettuces and cruciferous vegetables, but you can manually remove them when you see them. Aphids. You may see aphids underneath the leaves. Providing you catch them early enough, they are relatively easy to treat. Check out our post here on aphids and ways to treat them. Leaf spot. This bacterial infestation manifests itself as small brown spots on leaves and usually takes root when water is allowed to sit on leaves. Downy mildew. Spores travel through the air and alight on less healthy plants, forming brown spots on top and gray fuzzy areas under leaves. Prevent problems by keeping leaves dry with adequate airflow. White rust. This fungus impacts cruciferous vegetables including arugula; you’ll see it show up as white spots underneath the leaves. You can apply a fungicide to eliminate the problem in future crops. 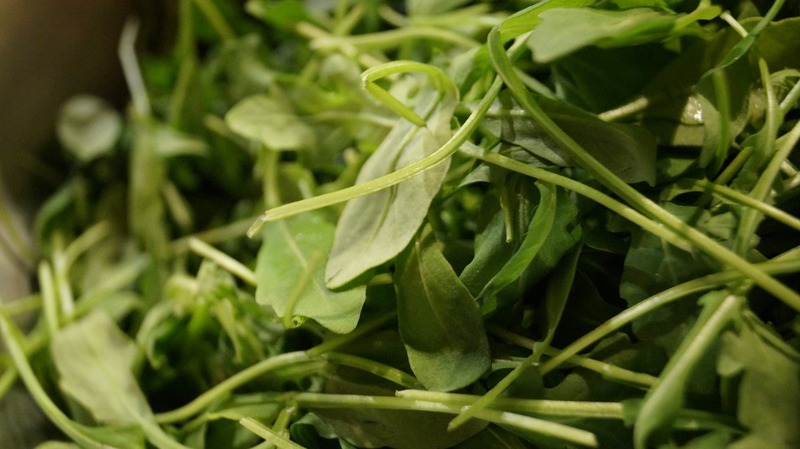 Arugula may be associated with fighting gastrointestinal ulcers. Another study linked cruciferous vegetables like arugula to have a protective effect against lung, colorectal and other cancers. The Global Healing Center lists arugula as one of the leafy green vegetables that contain cleansing properties to counteract the poisoning effects of heavy metals in the system, particularly in the liver. It’s also noted that this cruciferous vegetable may have the ability to eradicate pesticides and herbicides from the body. Arugula ranks among the top 20 foods in regards to Aggregate Nutrient Density Index (ANDI score). The ANDI score measures vitamin, mineral, and phytonutrient content in relation to caloric content. Now that sounds like a pretty good reason to pile some on your plate! 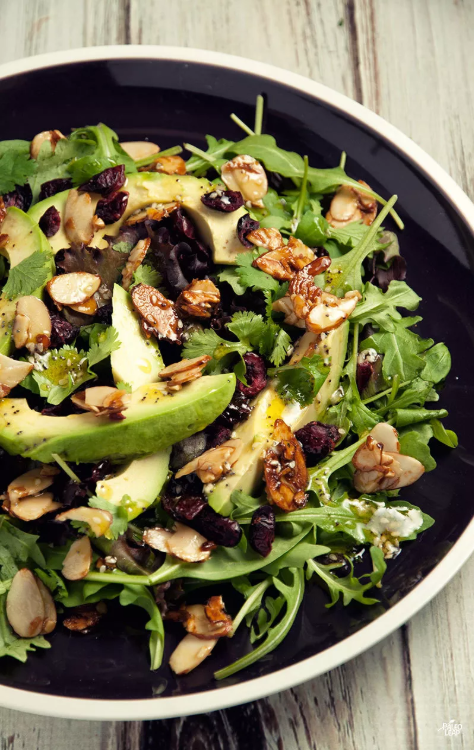 Try this cranberry avocado salad with arugula from Paleo Leap. Crunchy slivered almonds, sweet-tart cranberries, and creamy avocado all over a big pile of greens and sprinkled with vinaigrette: is your mouth starting to water yet? 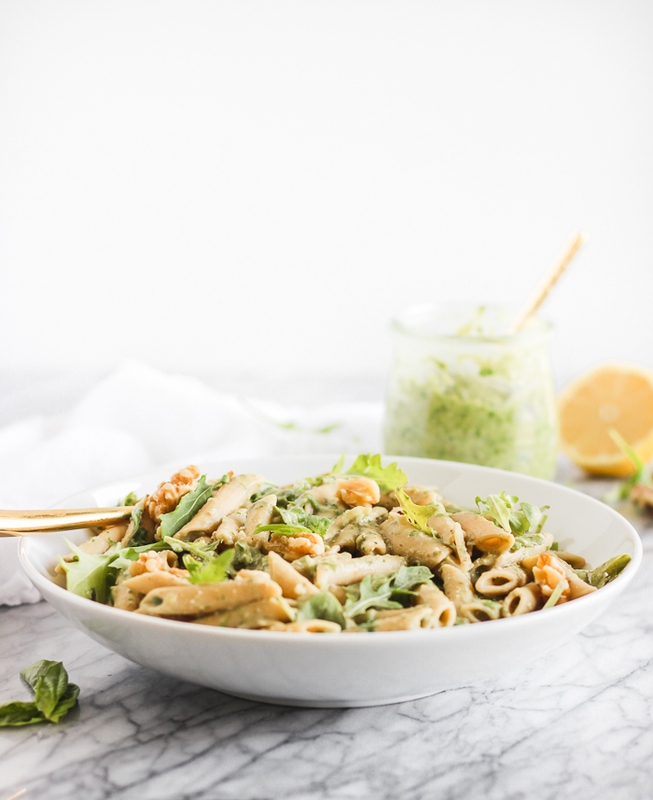 This salad has plenty of flavor and texture contrasts to keep it interesting, not to mention a healthy dose of the good fats from avocado slices and olive oil. Visit Paleo Leap for full instructions. To start experiencing all the benefits Arugula has to offer. 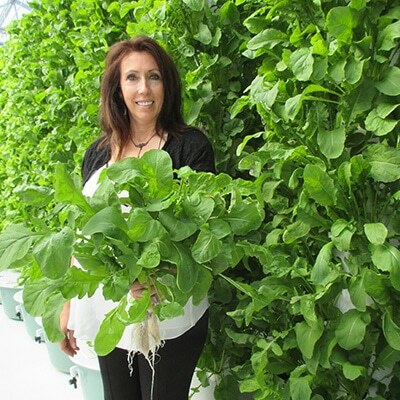 Order your Arugula seedlings today!